Bravo! 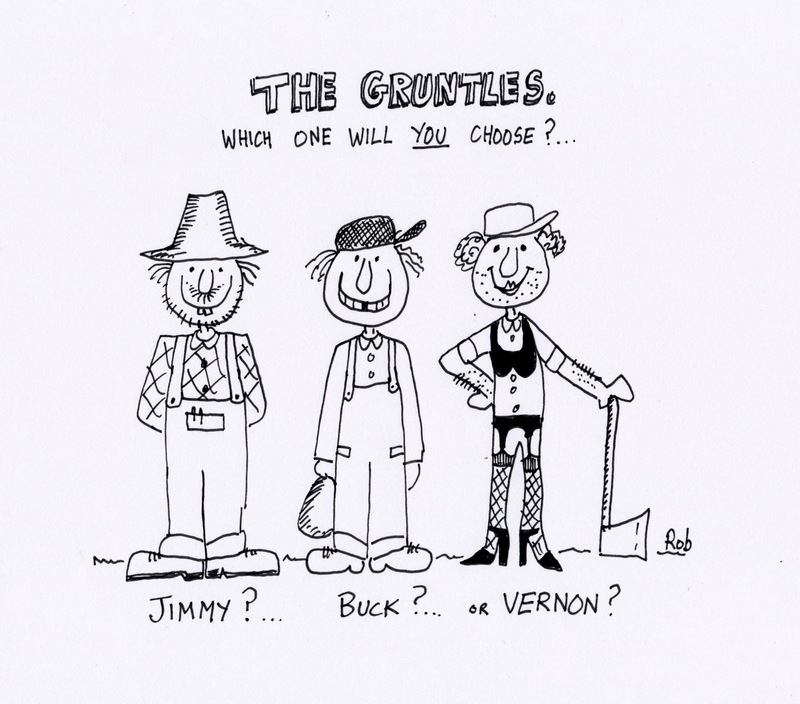 Though their grins indicate that all three are quite satisfactorily gruntled, I choose Vernon for his stylish attire and accessorizing. plus, obviously, Vernon DID NOT want to be either a Bishop-killer nor a barber ! i’ll choose jimmy b/c it looks like he stole buck’s teeth. As I repeatedly get a million versions of Jimmy and Buck, I am so going for Vernon. I will provide refreshments if he shows up. I’d just give my left lung to have someone like him march through my front door to fix the hot water heater, or change the rat bait boxes. Seriously, what a story that would be. rat bait boxes? you DOOO live in the woods ! I think Jimmy would be ideal for a local carrot-tasting evening. But what about Buck?… The Buck Sheep of the family!